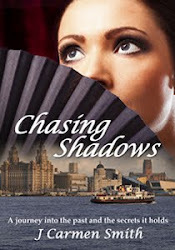 Part family saga, part memoir, Chasing Shadows tells the true story of Micaela, a Spanish immigrant to Liverpool at the beginning of the last century. It is also the story of her granddaughter's search, one hundred years later, for her own lost heritage and the truth about Micaela's early life. Chasing Shadows is Micaela's story, from her birth in Santiago de Compostela in the late 1870s, to her death in Liverpool in 1950. The story unfolds as tragic events alter the course of Micaela's life, taking her from a comfortable life in nineteenth century Spain to a poor, working class environment in early twentieth century Liverpool. In Liverpool, she meets the Spanish seaman whom she marries in 1907. Chasing Shadows tells of their life together, the difficulties they face in a foreign land, their hopes and disappointments. It tells of Micaela's failure to fully adapt to her new environment and how this affects her eldest daughter's life as Pilar is torn between two cultures, two languages and two religions after making a hasty marriage. Micaela was my grandmother and Chasing Shadows is also my story. It tells of my travels through northern Spain in search of my lost heritage as I explore the culture and the landscape that Micaela left behind. Seemingly chance meetings influence my search, helping me, after many false leads and dead ends, to unearth the secrets of past generations. Chasing Shadows: a journey into the past and the secrets it holds is published by Corazon Books and is out now.